In case you weren't in Orchard over the weekend to discover it for yourself, just wanted to share with you a first look at the graffiti work created live on the hoarding of Hermes Scotts Square on Friday night. The larger-than-life mural causing curious pedestrians on Scotts to double-take is the handiwork of France's most renowned graffiti artist, Kongo. Have you seen the “Graff Hermès” carré? Kongo will return to Singapore for the opening of the Hermès store at Scotts Square. Windows designed by the artist will be unveiled during the opening on Friday, December 9th. 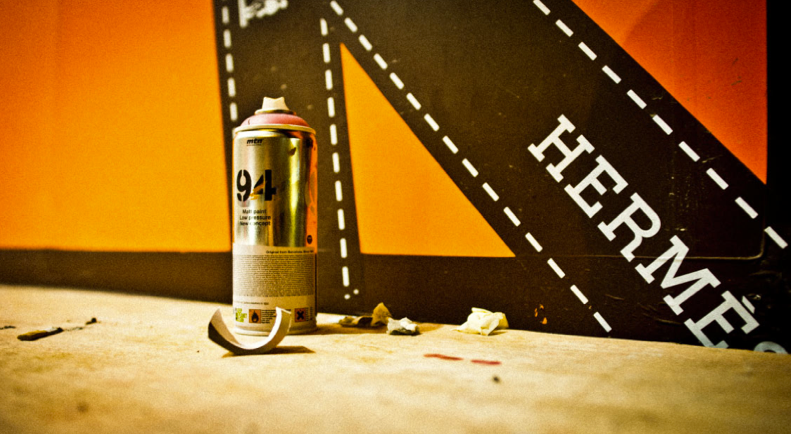 A colourful weekend awaits visitors to the store, with Kongo creating custom graffiti name tags on site. Meanwhile, find out about about Kongo and his works here. These are amazing. I love the lighting, it really dramatizes the art work. So cool.